That would have been a far better film than "Dances with Wolves". Now in France, I miss Singapore's strict smoking regulations. Your comics are great. 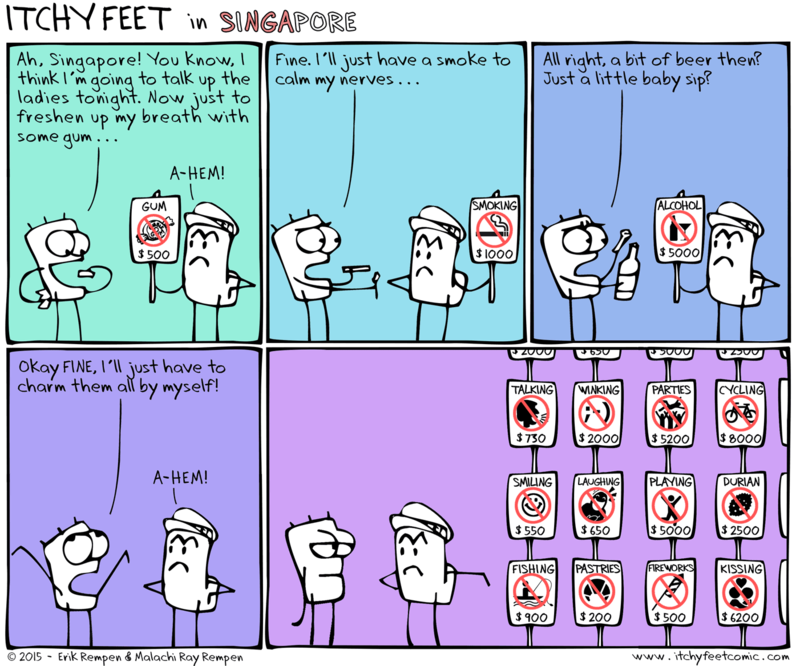 You have itchy feet comics in many other languages. Make one for an Indian language like Hindi. Thanks! Glad you like them. I don't speak or write or understand Hindi, but if you do, you're welcome to join the translating team! I can do that I am fluent in both English and Hindi. My workplace uses is so much English that I almost forgotten that which language was my native (My native is Hindi). How do people join in translating team? Great! Send a message to me on Facebook (https://www.facebook.com/itchyfeetcomic/) and we'll go from there. Would be awesome to have you on board!